Nothing polarizes groups of people like a “best of” list. Anytime an individual or group comes together to decide the top, the best, or most outstanding of something, there are going to be omissions that lead to great debates. The ‘100 Greatest NHL Players’ announced Friday during a gala in Los Angeles as part the NHL’s All-Star celebration was no different. The list was compiled by, per the league’s website, “a blue-ribbon panel comprised of distinguished members of the hockey community — including executives, media members and NHL alumni — selected the list of esteemed players.” I can assure you that no one from the Penguins or local media was included in this process, or at least it seems that way based on one notable omission — Evgeni Malkin. Malkin was forced to miss the All-Star weekend due to an injury suffered during a game last week, so he didn’t have to have his nose rubbed in it in person, but not being included had to sting. Not only is he among the best NHL players ever born in his home country of Russia, but he’s put together an impeccable list of accomplishments. The Penguins put out a handy infograph on Saturday that broke it all down. He is one of only three NHL players (Mario Lemieux, Bobby Orr — both on the list) to win two Stanley Cup championships, two Art Ross Trophies, a Hart Trophy, Ted Lindsay Award and a Calder Trophy. Malkin added a Conn Smythe trophy as the playoff MVP during the 2009 Stanley Cup run. It might not have been as shocking if we didn’t hear the names of current Chicago Blackhawks Patrick Kane and Jonathan Toews called during the ceremony. They have won three Stanley Cups, but their individual accomplishments pale in comparison to Malkin’s. The Stanley Cups seem to have been the springboard that they needed, but that is more of a team accomplishment. The selection committee seemed to weigh championships heavier than any individual accolades, as evidenced by some other omissions. Malkin has rolled up 814 career points in just 691 games, second among active players in points-per-game average (1.18) and 14th all time. That number beats retired greats Pat Lafontaine, Eric Lindros and Dennis Savard (all made the list). We should mention that on average, Malkin has Kane beat in just about every statistic. One reason for the omission could be the team Malkin plays for. Nine current or former Penguins made the top 100, which could have worked against Malkin, because he is often held up to Sidney Crosby and Lemieux by comparison. Crosby and Lemieux are ahead of him in just about every category and it’s easy for him to get lost in the shuffle. From a league standpoint, it is a lot easier to explain why Malkin was left off when Crosby and Lemieux were front and center in L.A. taking part in the celebration. They were hugely celebrated throughout the weekend. They also had multiple members of the franchise fraternity with them. Kane and Toews didn’t have seven others to shield their omission from the list, and leaving off two players who’ve won their Cups inside the last decade could have been a PR nightmare. Then again, there were 15 others from the Blackhawks included. The Blackhawks are an original-six franchise and were represented by 17 players on the list, which eliminates the above rationale. There really is no excuse for leaving off a player who has accomplished more than many of his peers and countless retired members of the list. His exclusion comes close to invalidating the list, making it seem like a popularity contest put together by a biased group that seemed to consider large markets, Stanley Cup dynasties and media darlings above all. Those types might overlook Malkin because he hasn’t always been as available to the media as they would have liked. He hasn’t done things on their terms or been willing to play many of the games that media darlings tend to. Much of what he’s done to be a great teammate and to at times shoulder the burden of being a mouthpiece during tough times would have been lost of those who compiled the list because they haven’t regularly covered the team or the player. When they do come to Pittsburgh, the spotlight has shined on Crosby, while Malkin has gone about his business under the radar. 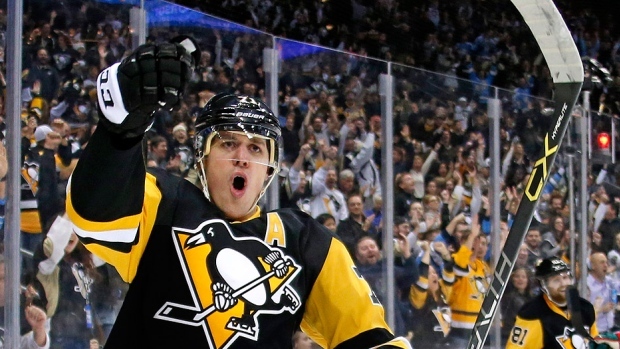 Make no mistake: Malkin is far from the only omission. Here are a few others that have inexplicably been left off of the list. The San Jose Sharks Joe Thornton ranks 24th all-time in points with 1,372 and 13th in assists. He’s won a Hart trophy, but has no Stanley Cups, which has already proven to be a zinger in terms of selection. Former Penguin Jarome Iginla was left off, even though he scored 30 or more goals in 12 straight seasons, including 52 goals in 2001-02. He’s scored 600 goals and 1,200 points and still adding to it as a member of the Colorado Avalanche. Again, no Stanley Cup clearly hurt him. Zdeno Chara of the Boston Bruins has one Norris Trophy and was a finalist six times over the course of his career. He’s been one of the most dominant defenders of his generation and has one Stanley Cup. The Blackhawks have their own snub in goaltender Ed Belfour. His 484 wins rank third all-time. He won the Calder Trophy, two Vezina Trophies and four William Jennings Trophies, but it wasn’t enough to get him on the list. Lastly, Dale Hawerchuk of the Winnpeg Jets, who boasted a rookie season that saw him score 53 goals and 130 points in 1984-85. He has a career points-per-game-average of 1.18, placing him ahead of Lafontaine.